The municipal area is surrounded to the north and west by the River Guadalcobacin, which has created a number of spots of immense beauty along its course; at the centre stands the village itself, on flat land traversed by La Ventilla Stream, with its straight streets and houses of medium height. The municipal area is known to have been inhabited during the Palaeolithic period by settlers who dwelled in caves and shelters which stood on either side of the River Guadalcobacin. The caves were excavated from the rock and positioned one on top of the other. No surviving cave paintings are to be found in these prehistoric shelters, but stone axes and a contemporary mill have been discovered embedded in the walls. 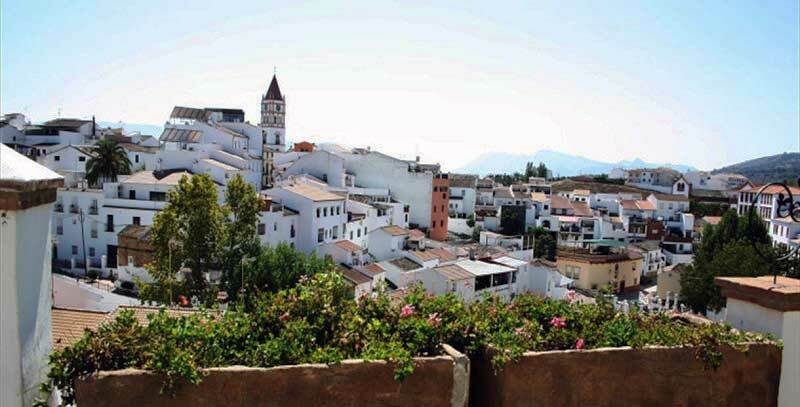 The present-day village was founded around a farm of Arabic origin which gave Arriate its name: Arriadh, meaning “the gardens”. One of the most noteworthy historical events to take place here is known as the “Ambush of Arriate”, a confrontation between Christian and Moslem troops in 1407. In 1630, the villagers paid 352,739 maravedíes in order to gain their independence from Ronda.